Cherry Grove is a collection of contemporary 3-story condos with an attached 2 car garage, 3.5 bathrooms, and newer kitchen appliances with great counter and cabinet space. Also, enjoy the features of an attached bathroom in the master bedroom with a shower and tub, and an excellent fireplace in the living room. 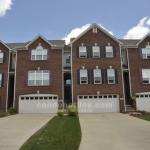 These Plymouth condos are very close to public parks, shopping, and the great Plymouth-Canton public school system. For further information about Cherry Grove condos contact the specialists with condohotline.com at 888-581-6923 or info@condohotline.com. Please log in or sign up to see current Cherry Grove condos for sale. 3 bed / 3 bath — 2,043 sq. ft.
3 bed / 3 bath — 2,290 sq. ft.